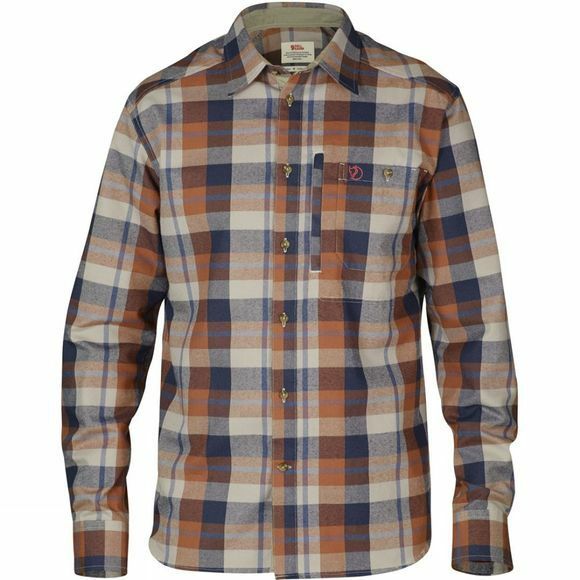 The Men's Fjällglim Shirt from Fjällräven is a lightweight, warm long-sleeved trekking shirt with comfort fit. 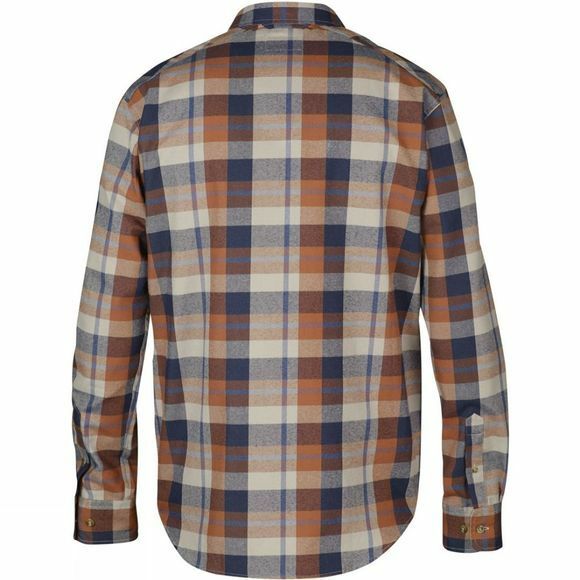 Made from functional polyester flannel that insulates well, transports moisture away from the skin and dries fast. This makes it perfect for trekking or ski touring, both as a base layer against the skin or as a middle layer. There are two chest pockets, one with a zip for safe storage of valuables while the sleeves can be rolled up and kept in place with a button for convenience.